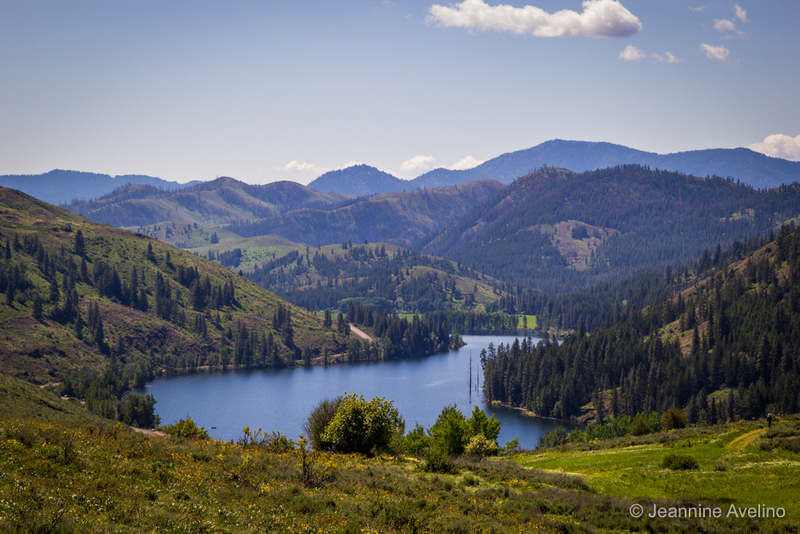 Last year, I half-seriously entered Rainshadow Running’s Sun Mountain 25K lottery. The last thing I expected was to be picked since I’ve had bad luck with race lotteries. It was definitely a surprise when I saw my name on the participant list. I knew I had to smarten up and start putting in more hours in the trails. 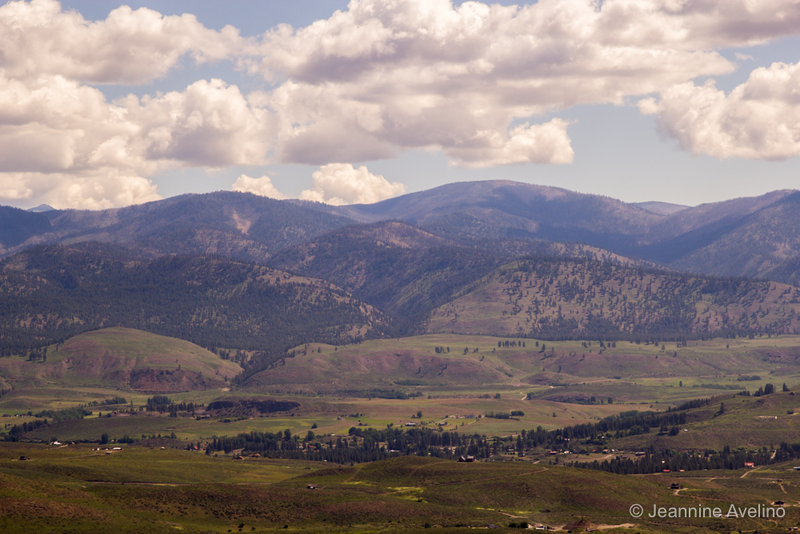 Sun Mountain is at Winthrop, Washington. It’s either a 4 or 6 hour drive from Vancouver. 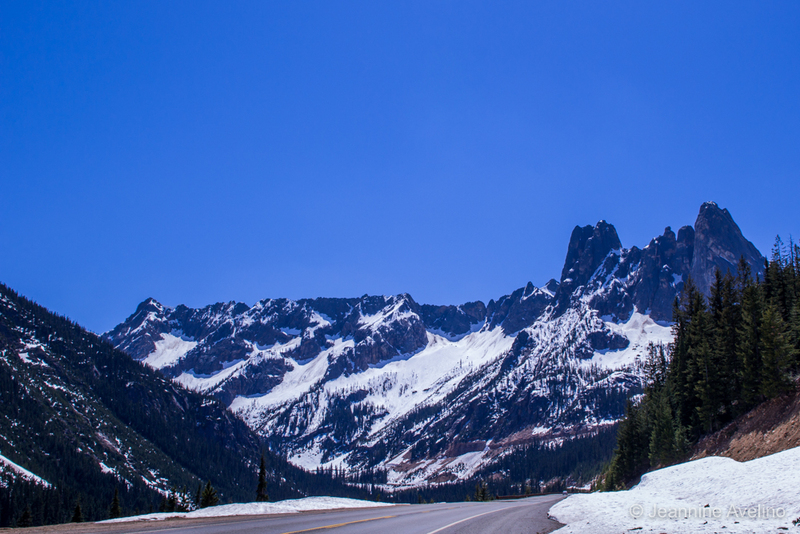 The difference factor is the North Cascades Highway. This highway is usually closed during the winter due to snowy conditions and risk of avalanche. Luckily for us, it re-opened just days before we had to leave. 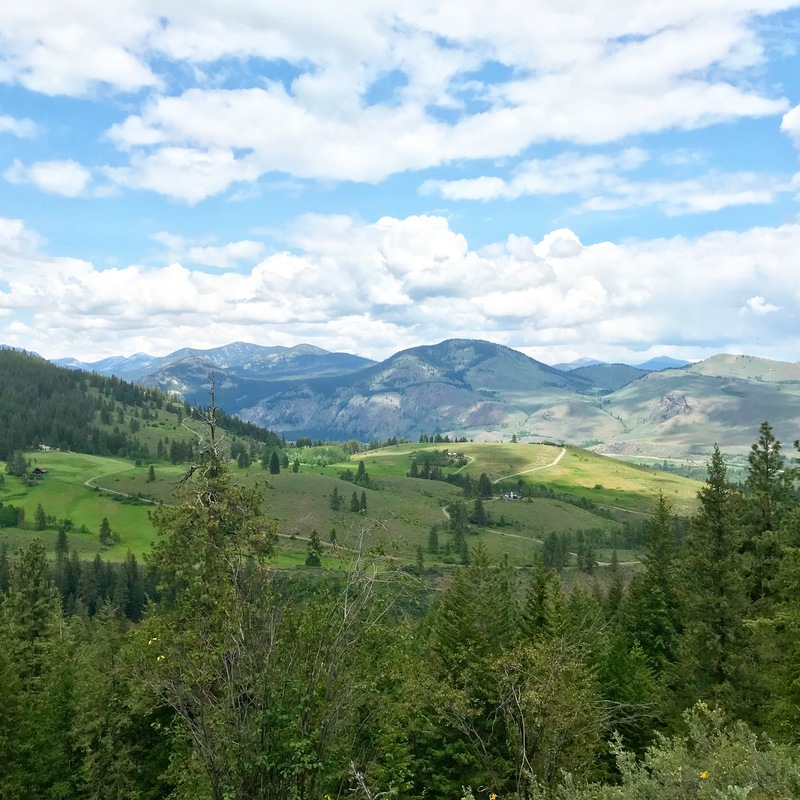 It was a beautiful drive and we were in awe of the majestic North Cascade mountains. 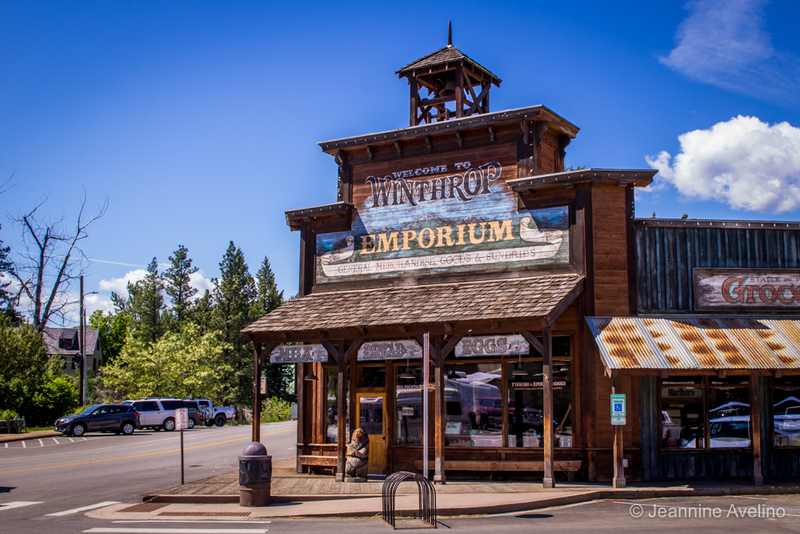 Winthrop is a sweet little town with an old west theme. 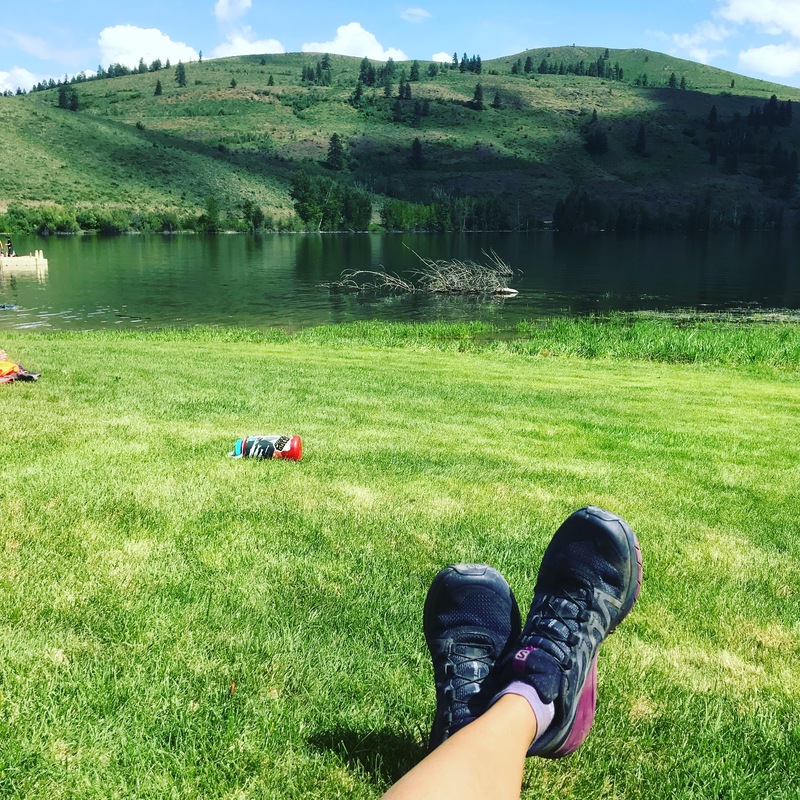 People come here to camp, hike, mountain bike, ride horses, swim in the lakes, lounge in the river, and of course, trail run. We stayed at the Abby Creek Inn, not the fanciest place but it suited this trip well. You can see my review of the inn here. You can see the trail in the centre there. 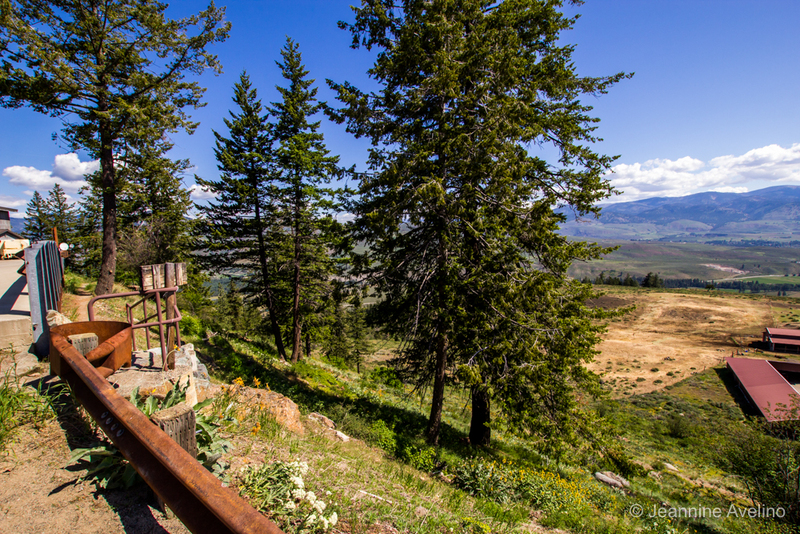 This leads up to the Sun Mountain Lodge and the first aid station. If I had 3 words to describe these trails, they would be beautiful, non-technical, and exposed. 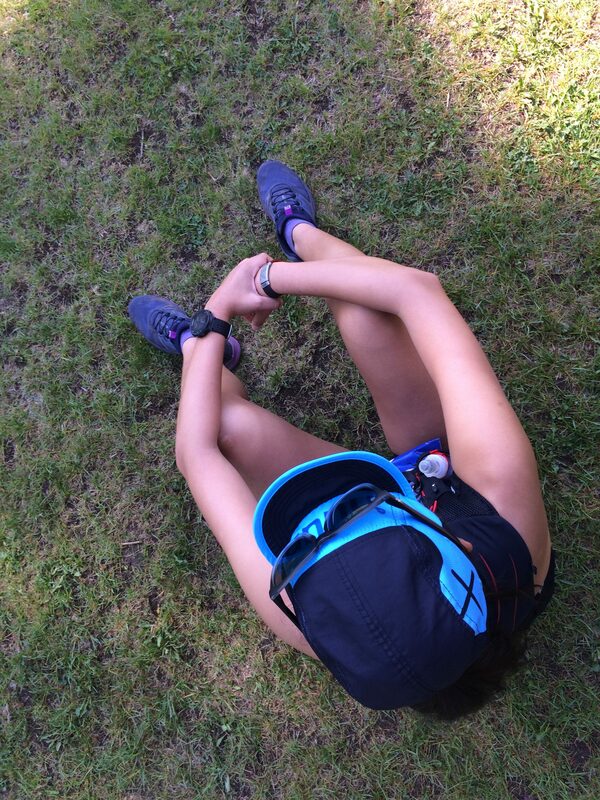 The 2 hardest climbs are in the first 11 km of the race until you reach the first aid station. The first climb is Patterson Mountain, a few minutes after the start of the race. It has an elevation gain of just over 1000 meters over 4 km. After reaching the summit, you head back down towards the Sun Mountain Lodge. You have to get there the hard way, by climbing a steep trail to the road where the lodge and first aid station is. Most of that chunk of trail has no tree cover but later on you will find yourself running through lush forests. The trails to the 2nd aid station don’t have any major climbs so if you’re fast you should be able to get there relatively quickly. After the 2nd aid station, you’re only about 5 or 6 km away from the finish and it’s mostly downhill. I’d be lying if I said I wasn’t nervous. 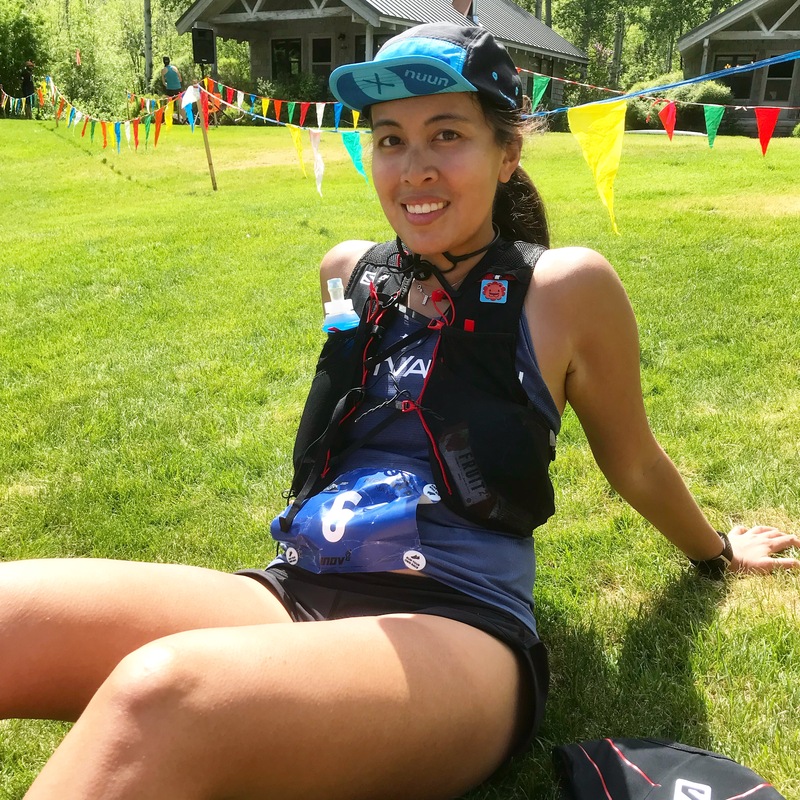 It was going to be my longest trail run to date, it was going to be hot (I don’t do well in hot weather), and for the first time, I was worried about cutoffs. This photo basically summed up all my feelings in the morning. 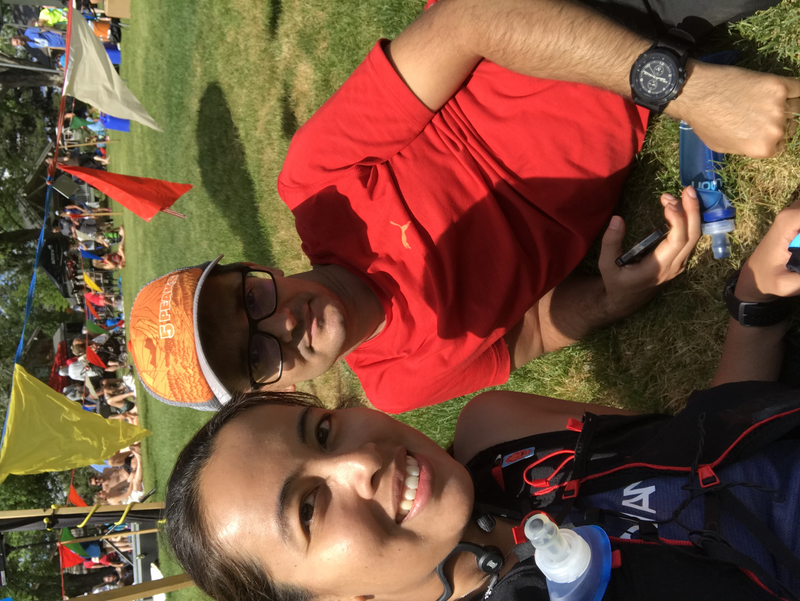 I studied the map and the first aid station wasn’t until 11 km into the race. A long climb also awaited me at the start. 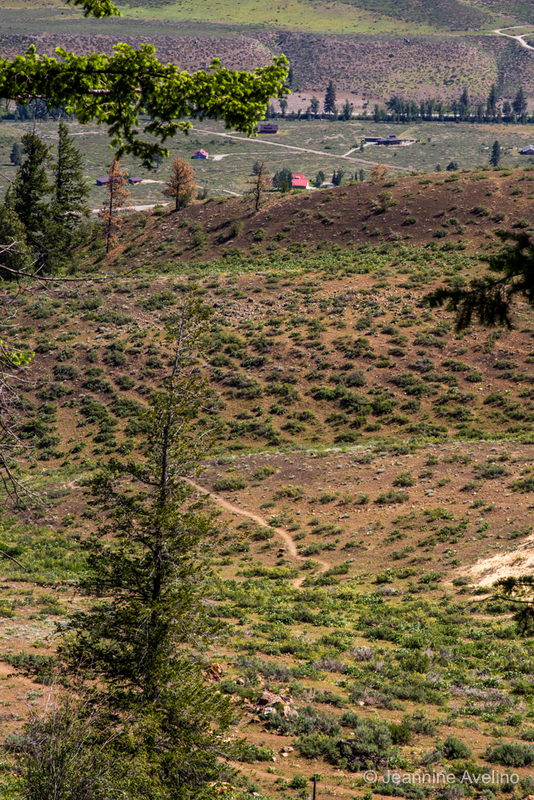 It was a single track trail up Patterson Mountain which instantly created a bottleneck at the trailhead. It was a slow-going, 3 km climb to the summit. We had to share the highest part of the trail with runners coming down which made it a little more nerve-wracking. Trail runners are so supportive that the lead runners were telling us “you’re almost there!” or “it’s not that much further!” I conquered the hill and didn’t realize there was another smaller, steeper hill to the top. LOL. They meant well. It took me about 36 minutes to ascend just over a thousand meters. After that, there was a lot of downhill. I reached the summit of Patterson Mountain! 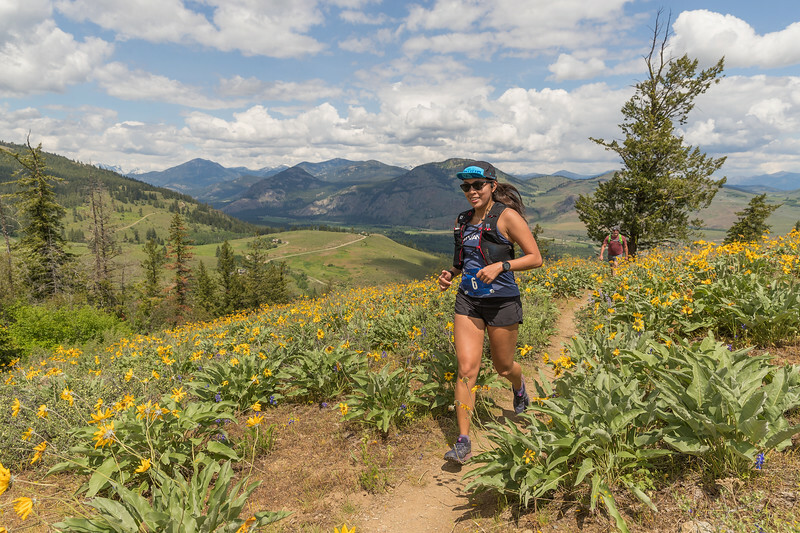 We ran down the mountain on glorious single track through fields of wildflowers. The trails were fully exposed and by this time it was closer to 11 AM (the race started at 10 AM) so the sun was really beating down on us. Everywhere you looked, you could see mountains. It was the most gorgeous place I’ve ever run so far. We also came across a herd of wild horses on the path. I didn’t want to stress them out so I tried to go around them. A STUPID runner behind me decided to yell and wave her arms to try to scare them away, which freaked me out because one of them almost charged. Thankfully nothing bad happened and we managed to get across. It was time for the second climb to Sun Mountain Lodge, also the site of the first aid station. This climb was not as long as the first one but it seemed so much harder. I assume it’s because of the heat (by this time it was probably around noon) and fatigue as well. I noticed that photographer Glenn Tachiyama was positioned 3/4 of the way up. I mustered the strength to run this one section and Glenn captured this amazing photo of me. Makes this climb and race totally worth it! I was fighting cutoffs and worked my hardest to get to the top. I made it within 30 minutes of the aid station cutoff so I grabbed some chips, water, and a PB and J sandwich and left. My best idea of the day was getting the volunteers to soak my BUFF with water. It really helped cool me down later on. I love how the trail markers look here. The second and final aid station wouldn’t be for another 9 km or so. 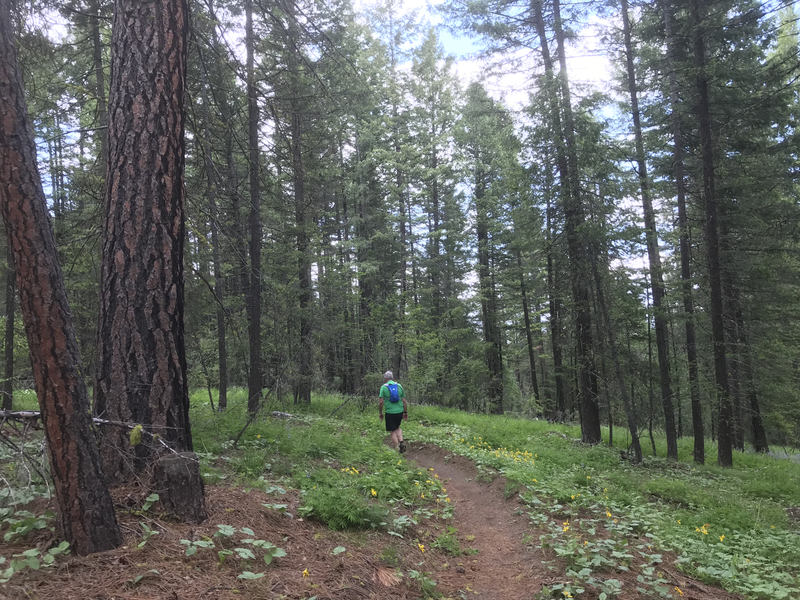 Before leaving the lodge, a volunteer informed me that the worst climbs are over and that a good chunk of the route coming up will be in the trees. That perked me up because I desperately wanted shade. What remained consistent with this route was the epic view. When I felt discouraged, all I had to do was look up and revel in the beauty around me. Another thing to note, bring bug spray. I got attacked by mosquitoes in this section. Free pizza at the end! The Criss Cross Station was the last aid station. After this, it was mostly downhill to the finish. I said mostly because there was a bit of an unexpected climb towards the end. I made it to this aid station about 30 minutes before cutoffs again. After re-fuelling quickly and finally realizing how important flat coke is on a trail run, I headed off. I decided to eat my sandwich while walking to save time. Eventually I hit a long section of runnable downhill so I ran as much as I could. Surprisingly, I passed a few people. I looked at my watch and hoped for a 4h30 finish but I quickly realized that the route is 1 km longer. Technically, I managed to run 25 km in about 4h23 but because it’s a little longer, I ended up finishing in 4:31:59. 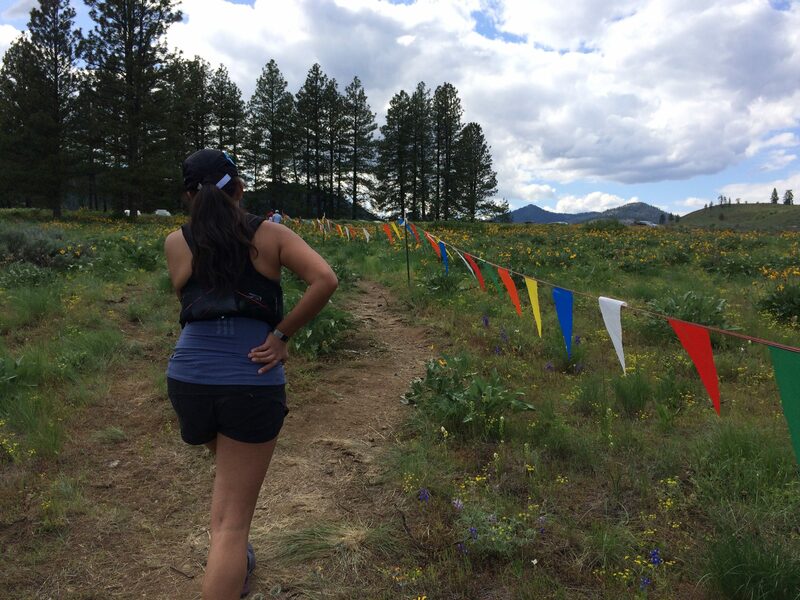 My longest trail race was finally over and I enjoyed every minute of it. The finish line was a party, with a live band, free pizza and beer for runners. It was located next to Patterson Lake so lots of people were taking celebratory dips afterwards. We opted not to. The joke was on us. We had to park in the overflow lot, on top of a hill. After a long race, we had to climb another trail just to get to the car. My legs were protesting the whole way but we managed to get to the car and drive ourselves back to the hotel. 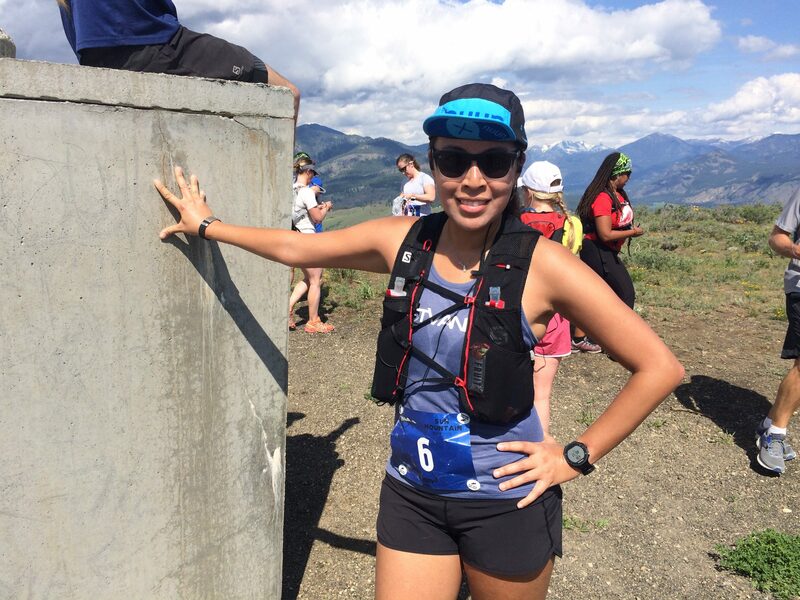 Swag – There are no medals for this race but they were giving out Inov-8 neck gaiters. 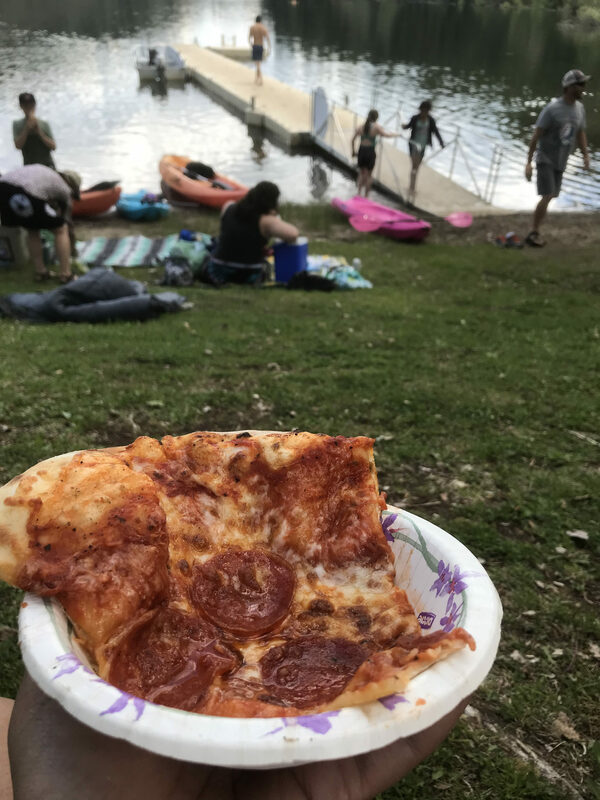 There was pizza and beer at the finish line too. Would I Do it Again? Yes I would! I’d love to see if I’d improve. Plus I love this beautiful town. Thanks for reading my recap. My next one will be about Iron Knee! Stay tuned. Did you run this race? Be sure to leave a review on BibRave.